Selbyville, DE — Brandywine Living at Fenwick Island invited the local community to their third annual “Soup for the Soul” fundraiser on Saturday, November 3rd, 2018. The proceeds from the event benefited the Community Food Bank of Salem United Methodist Church. 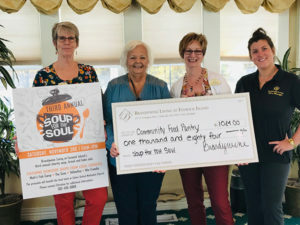 “Soup for the Soul” combined a soup and bake sale into one delicious and heart-warming afternoon. 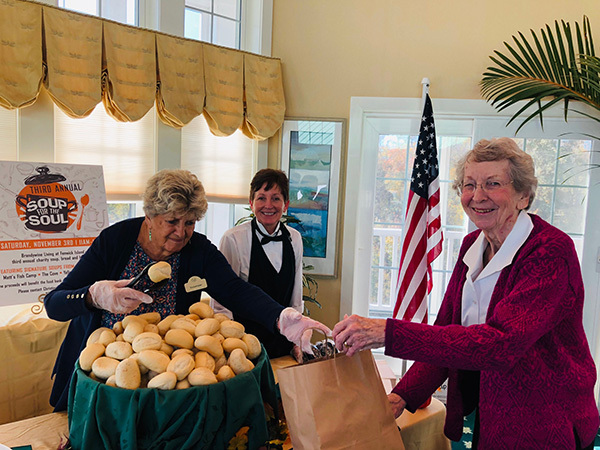 Popular local restaurants donated the signature soups and fresh baked goods that were available for purchase during the fundraiser. Participating restaurants included Just Hooked, Bayside’s Cove, Matt’s Fish Camp, Yellowfins Bar & Grill, Mio Fratello, Catch 54, One Coastal, Rosenfeld’s Jewish Deli, and Sweet Dispositions. 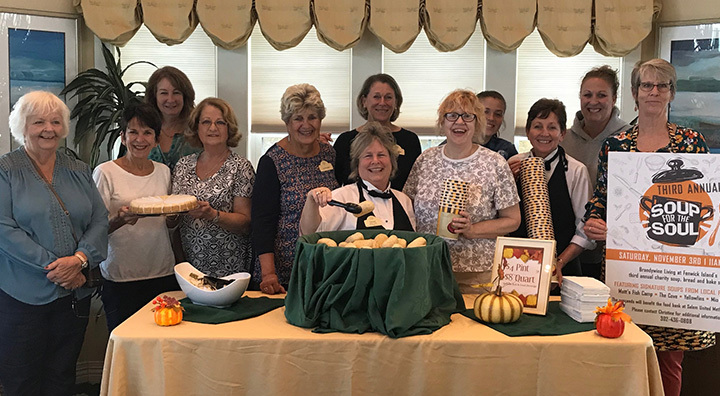 Brandywine Living Chefs and residents also prepared their own favorite soups to contribute to the cause. Additionally, Sweet Stems Florist Shop donated fresh flowers for display. “We are so grateful for the support from our local community that makes this annual event possible. Brandywine Living looks forward to continuing to support local families in need through the Community Food Bank,” said Christine Warrington, Director of Community Relations and Operations Manager of Brandywine Living at Fenwick Island. Dottie Campbell, Community Food Bank Coordinator for the last 23 years, was also on site with volunteers and delicious baked goods. Over $1,000 was raised at the event and presented to the Community Food Bank of Salem United Methodist Church. The proceeds will assist local families experiencing financial hardship this holiday season. 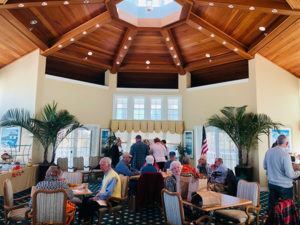 Brandywine Living (formerly Brandywine Senior Living) is a market leader in luxury senior living, including assisted living, memory care and independent living. Founded in 1996, and headquartered in Mt. Laurel, New Jersey, Brandywine currently operates 29 communities in six states (PA, NJ, NY, VA, CT & DE) with capacity to serve over 3,000 residents.